Having a difficult time deciding where to go next summer? We can help you find camps that Treehouse youth have attended in the past and have loved. You are not limited to the camps listed here, but it’s a great place to start. Your local Boys & Girls Club offers a wide variety of day camps to fill kids’ summers with fun experiences, learning opportunities, and new friends. Camp themes range from sports to art to Harry Potter to science and technology. Programming includes instruction from accomplished writers, field trips, writing activities, craft exercises, and exposure to a diverse range of genres, forms, and writers. Learn about the great outdoors through hands-on exploration guided by environmental educators. With camps ranging from marine science to cooking to journalism, there’s something for everyone. By combining physical activity, gymnastics, games, and arts & crafts, The Little Gym camps help get younger kids active indoors. Kids will learn and improve their soccer skills and tactical awareness each day by watching staff demonstrations, practicing techniques, and playing games. 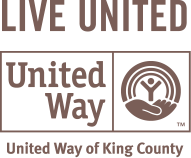 A wide variety of summer day camps are available throughout the city of Seattle in your neighborhood community center or park. Camp themes include arts and crafts, performing arts, STEM, nature, and the outdoors! Skyhawks offers sports camps for a wide variety of sports, including but not limited to baseball, basketball, cheerleading, flag football, golf, volleyball, and multi-sport camps. Kids and teens can explore the zoo, play games, and participate in activities that help them learn about the animal kingdom. Whether it’s learning a new skill or game, working on a project with new-found friends or just enjoying some undirected play time, YMCA camps provide room to grow and help kids build resilience and confidence. Youth in Focus offers four week-long summer camp experiences to help teens learn basic to advanced photography and photo editing skills. Search for more day camps with My Summer Camps or American Camps Association. This week-long religious camp combines outdoor adventures, unforgettable memories and faith-based curriculum to help campers develop a deeper faith in biblical truths. Camp Firwood offers many different kinds of activities during their week-long religious camp sessions. Kids and teens can enjoy high ropes, arts and crafts, a climbing wall, wakeboarding and more. Camp Sealth helps kids build strong character, values and life skills. They host a classic camp with traditional camp activities, horse camp, leadership camp, adventure camp and specialty camps for those who want to focus their time on one activity. The YMCA hosts this traditional summer camp, where kids and teens are asked to disconnect from technology and bond with their fellow campers in the great outdoors. Campers learn about acceptance, tolerance and appreciating others for who they are. At this two-week residential camps for lesbian, gay, transgender, queer and questioning youth and their allies, youth come together in a community of support to participate in activities that enhance self-esteem, life skills, independence, leadership and self-confidence. Camp to Belong reunites brothers and sisters from across our state that are separated in foster, adoptive or kinship care for an unforgettable experience at Miracle Ranch on Horseshoe Lake. NatureBridge offers one-week and two-week science-based backpacking expeditions for high school students in Olympic National Park. Full scholarships are available, and backpacking experience is not required to participate. At this multicultural arts-centered camp, youth develop confidence in their creativity by taking risks, learning from others, and participating in activities that encourage self-expression. On this two-week nature-based adventure, participants will find support, challenge and mentoring along their unique journeys from adolescence to adulthood, offering rich opportunities to deepen into their queer identities, come together in queer community and build enduring relationships with nature and self. The primary purpose of Royal Family Kids Camp is to give youth in foster care a week of positive memories and royal treatment in a Christian camp environment. Enjoy the ultimate summer camp experience on Lake Sammamish at this Christian camp. 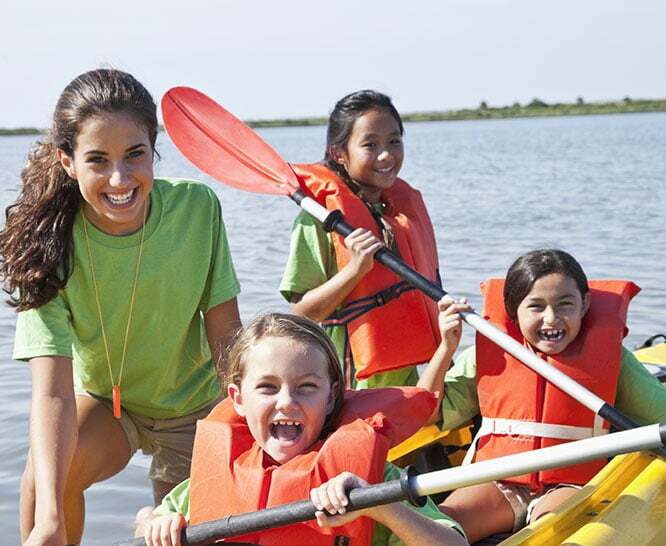 Youth can participate in activities like boating, kayaking, archery, laser tag, crafts and more! T.R.A.C. is meant to provide hope through camping and mentoring programs designed especially for youth in foster care. On a BOLD and GOLD trip, youth explore the wilderness through a variety of exciting and fun activities including backpacking, rock climbing, river rafting, mountaineering, art, yoga, back country cooking, music and creative writing. Kids and teens who spend a week at Camp Orkila get an island adventure on this camp’s 280 acre property. Campers can participate in traditional camp activities and also test their bravery on a zip-line, climbing tower, and overnight expedition trips. The perfect camp for first-timers, Camp Colman offers traditional camp activities like canoeing, marine science, swimming, creative arts, and more on Washington’s Key Peninsula. Search for more overnight camps with My Summer Camps or American Camps Association. This structured day camp provides activities (like swimming, arts, games, horseback riding, and more) for kids with disabilities including autism, cerebral palsy, Down syndrome, ADHD. Kids without disabilities are also welcome. Camp Leo is an oasis for children with Type 1 Diabetes. Kids and teens participate in hands-on activities designed to ignite a passion for the outdoors, adventure, and exploration. They also learn about managing their diabetes. This co-ed residential summer camp program enriches the lives of children with Crohn’s disease and ulcerative colitis by providing them with a safe and supportive camp community. At this therapeutic recreational day camp, children with behavioral issues, mental health diagnoses, developmental challenges, and those in special education can participate in fun, physical and therapeutic activities in a supervised structure. The city of Seattle offers summertime day camps for youth with disabilities. Activities are specifically designed and conducted by trained staff to best meet the needs of campers. Search for more special needs camps with Center for Children With Special Needs or Very Special Camps.